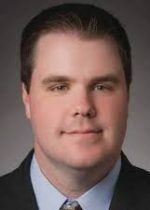 Michael Oates has joined Princeton, N.J.-based WithumSmith+Brown PC (FY18 net revenue of $207.6 million) as a tax partner in its financial services and investment group. Prior to joining Withum, Oates was the tax hedge fund industry leader for one of the Big 4 firms and the PIC of the national tax practice for Rothstein Kass. 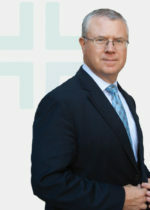 Oates, who is based in the firm’s New York office, joins a team of specialists focused on all audit, tax and compliance issues related to venture capital firms, hedge fund managers, private equity firms, mortgage bankers, broker-dealers, credit unions, banking institutions and regulated investment companies. An industry veteran with more than 30 years’ experience in the alternative investment fund sector, Oates specializes in tax research and planning, from initial organizational structure to maximum tax efficiency. He also serves as a trusted operational-matter tax advisor throughout the business and economic cycles. “Withum has emerged as a leader in the publicly and privately held financial services sector and has propelled itself to the forefront, bypassing rival firms that once had the market cornered,” Oates says. Princeton, N.J.-based WithumSmith+Brown PC (FY18 net revenue of $207.6 million) has released its popular annual culture video. What started in 2012 with the firm’s “Party Rock” flash mob video – which has been viewed more than 70,000 times – the firm releases a new dance and music video at its annual State of the Firm event. The video’s soundtrack, “We Live the Withum Way,” was written by creative services team member Madison Klarer and emphasizes components that make Withum unique, the firm says. The latest culture video coincides with the launch of the firm’s new corporate website and firm’s tagline has been subtly amended to reflect Withum’s sequential business emphasis on advisory, tax and audit services. 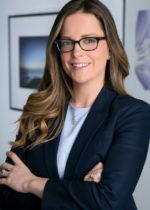 Princeton, N.J.-based WithumSmith+Brown PC (FY18 net revenue of $207.6 million) announces the appointment of Heather Murphy-Walker to its New York office team. In her role as business development executive, Murphy-Walker will spearhead all office-growth initiatives and serve as the conduit for the firm’s client base. Murphy-Walker has more than 10 years of marketing and business development experience in the professional services sector. Prior to joining Withum, she was a consultant for NABA. In this role, she spearheaded all marketing and communications efforts, as well as key operations aspects related to their annual convention. Previously, Murphy-Walker was a consultant with a technology CPE firm and held communications and marketing management roles with AICPA during the course of an eight-year period. Princeton, N.J.-based WithumSmith+Brown PC (FY18 net revenue of $207.6 million) has announced the formation of a digital currency and blockchain technology services group to address the unique challenges posed by digital assets, cryptocurrencies and blockchain technology. As an extension of the firm’s technology services group, the team provides a deep level of expertise to a diverse client base involved with and entering into today’s new alternative asset class. Princeton, N.J.-based WithumSmith+Brown PC (FY17 net revenue of $175.4 million) has announced that three senior managers have been admitted to partnership. Ryan Babiak, Joseph Cassano and Shawn Gillon are the newest partners to join the firm’s growing corporate leadership team, effective July 1. Babiak, based in the firm’s Whippany, N.J., office, specializes in accounting for income taxes, federal and multi-state income tax for business entities, equity-based compensation and U.S. international taxation. He also is a member of the firm’s start-up and emerging growth technology services group. 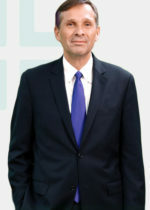 Cassano is based in Withum’s New York office, where he specializes in financial reporting, tax and accounting services for hedge fund clients and also has experience working with domestic and offshore investment funds, fund-of-funds vehicles, investment advisors and related management entities. A 14-year industry veteran, he serves a diverse roster of clients as a member of the firm’s financial services/alternative investments group, including broker-dealers, private equity groups and hedge funds. 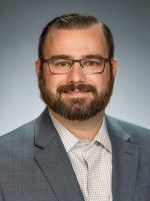 Gillon, based in the firm’s East Brunswick, N.J., office, is a CPA with more than 15 years of experience focusing on auditing, accounting and consulting services. A member of the firm’s insurance services team, he works with an array of insurance companies and captives. He also serves a variety of clients in the real estate and not-for-profit sectors. The three new partners join an impressive corporate leadership team at Withum comprised of more than 120 partners. Established in 1974, Withum is a public accounting firm providing advisory, tax and audit services to businesses and individuals on a local-to-global scale. Withum also is a member of HLB International, a worldwide network of independent professional accounting firms and business advisers committed to assisting clients to build and expand globally. 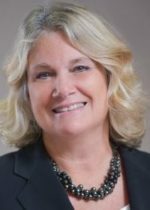 Kathy Ruggieri has joined Princeton, N.J.-based WithumSmith+Brown PC (FY17 net revenue of $175.4 million) as a principal in the firm’s Healthcare Services Group. In addition to traditional tax and audit services, Withum’s Healthcare Services Group provides consulting and advisory services, including those related to revenue cycle, internal audit and corporate compliance, valuations and fair market value assessments and opinions, cloud solutions and cybersecurity. Ruggieri has more than 34 years of health care experience who most recently served as vice president of a New Jersey-based, health care finance and technology consulting firm. In this role, she oversaw revenue cycle, revenue integrity, reimbursement and emerging payment model strategy. When the AICPA hosted its flagship System and Organization Controls (SOC) for Cybersecurity Certification course this past week, members of Princeton, N.J.-based WithumSmith+Brown’s (FY17 net revenue of $175.4 million) SOC for Cybersecurity Services Group served as lead instructors for the curriculum. This first-of-its-kind program also was authored by the professionals from the advisory, tax and audit firm. In total, seven Withum professionals also are among the first CPAs nationwide to earn the AICPA’s SOC for Cybersecurity digital badge. AICPA has retained Withum to write, present live and record on-demand viewings of the first SOC for Cybersecurity Certificate training course for SOC professionals. Three of Withum’s professionals, Chapman, Sharma and Mahoney, served as course authors and presenters. Topics addressed in the AICPA-sponsored course offer an overview of the cyberthreat landscape and terminology, various SOC services, components of a cybersecurity risk management program, utilization of criteria to assess an entity’s controls, key steps for performing the cyber risk-management examination and factors to consider while forming the opinion and preparing the practitioner’s report. 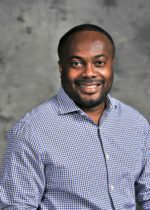 Princeton, N.J.-based WithumSmith+Brown (FY17 net revenue of $175.4 million) welcomed Fabian Williams as a principal in the digital solutions and services group. Princeton, N.J.-based WithumSmith+Brown (FY17 net revenue of $175.4 million) welcomed Katelyn Crowley to its Boston office team where she will spearhead all business development initiatives and serve as the conduit for the firm’s client base. 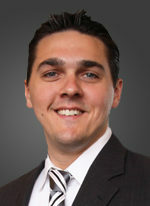 Crowley has more than 10 years’ marketing and business development experience. 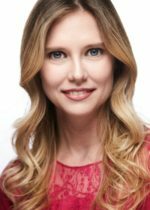 Prior to joining Withum, she was a vice president with a niche government grant and contract accounting firm. In this role, she led and executed all marketing and business development efforts. Prior to that role, Crowley worked with Fortune 100 companies to build intranets and implement change-initiation strategies through digital solutions. “I’m eager to assist current and prospective clients by matching them with Withum’s innovators and cloud transformation experts in order to leverage their digital tools, share information and collaborate at the highest levels,” says Crowley.